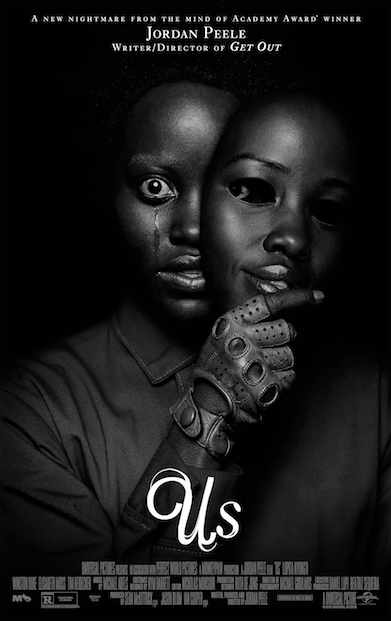 Anyone who doubted Jordan Peele’s staying power was proved wrong this weekend as his sophomore film Us made a colossal $70 million upon its release. Peele’s genre-bending thriller broke several box office records including biggest opening for an original R-rated movie and biggest opening for an original horror movie, a record previously held by A Quiet Place. Us comes at the heels of Peele’s critically-acclaimed directorial debut, Get Out, which he received an Academy Award for. That, along with the incredible marketing for Us, built up an insurmountable amount of hype for the March 22 release. Critically, the movie has been incredibly successful, hitting a 94 percent on Rotten Tomatoes and a 81 percent on Metacritic. However, the film has been polarizing for viewers; it currently sits with a 7.4/10 on IMDB, largely due to people either giving the film a 10 or a 2. The large discrepancy between critic and audience reviews is a result of several different factors, one being the originality of the film. Almost every critical review of Us points to how different it is from the stereotypical slasher through its use of metaphors and intricate themes to not only provide scares, but a message as well. Peele is known for being a true cinephile when it comes to the horror genre, paying homage to works of Stanley Kubrick and Alfred Hitchcock in his own movies. A consequence of this could be his desire to push the boundaries of the genre and what true “horror” really is, losing fans who paid to be frightened by people popping up from behind doors and other horror movie tropes. The film community saw this last year in A24’s Hereditary, another thriller that split audiences because of its departure from the stereotypes of the brand. It is a repercussion of a genre polluted with Annabelle sequels and Halloween remakes, plot-driven films with little to say in terms of cultural relevance. However, these movies are comforting to audiences because in a time when ticket prices rise by the second, it is nice to know what you are paying for. Nevertheless, whether one enjoyed the movie or not, Us reassured that in a platform permeated with superhero flicks and remakes of past films, originality in film still exists at the hands of budding directors like Peele.